It is important for nonprofit organizations to identify which volunteers are deceased so they do not send them an email or assign them to opportunities. We have implemented a new feature to be able to mark a volunteer as deceased. 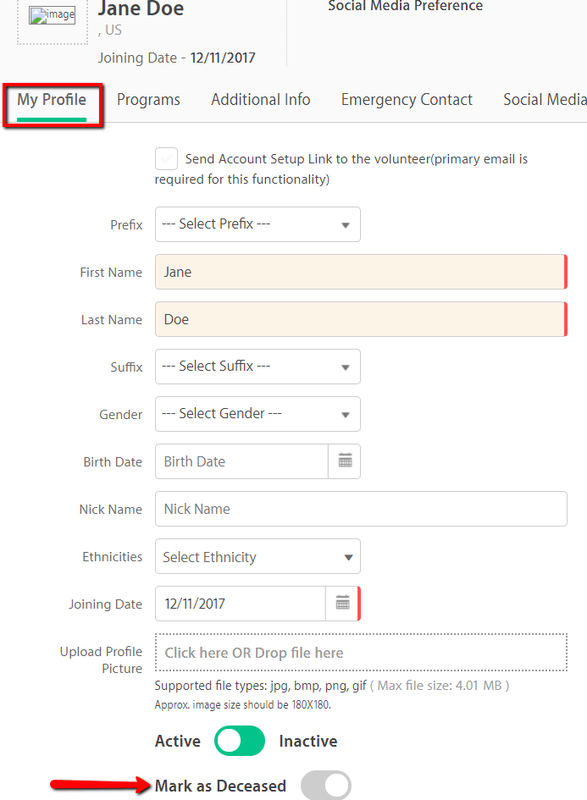 To mark a volunteer as deceased, edit the volunteer’s profile. Under My Profile tab, activate Mark as Deceased slider. When viewing the deceased volunteer’s profile, a Deceased label will be displayed at the top left corner of the screen. When a volunteer is associated with multiple organizations and one organization has marked this volunteer as deceased, the other organizations will get an email notification and will see a call to action on the volunteer’s profile where the admin can also mark the volunteer as deceased or ignore the message. After the information is synced into CRM, the deceased contact will also be marked as Deceased in CRM. 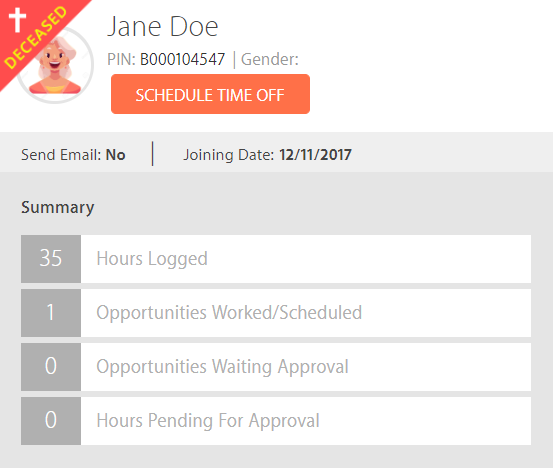 When marking a volunteer as deceased in CRM, it will update their Connect record as well. 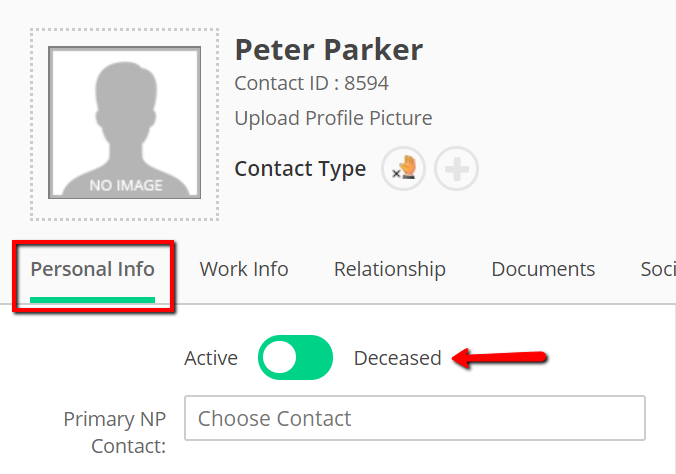 To mark a volunteer as deceased in CRM, edit the volunteer’s profile and activate the Deceased slider. Click Save. 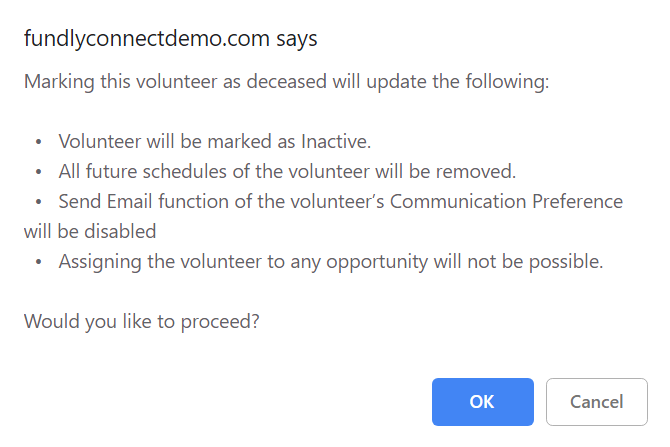 It will display a message confirming that the volunteer’s record in Connect will be marked as deceased once the sync is completed.